Facebook Testing Q&As For Pages? Facebook appears to be testing the option of question-and-answer sessions for some pages. The social network has hosted Q&A sessions on the pages of celebrities, but page administrators have not had the ability to create them. 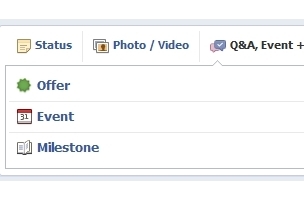 An AllFacebook reader emailed the screenshot above, in which Q&A was added as an option in the status update box for pages. The screenshot below is the current status update box for pages.